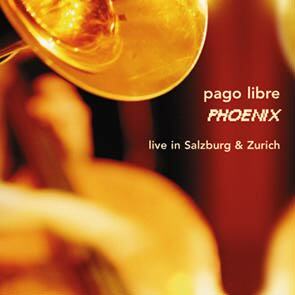 The third release by the super band Pago Libre on Leo Records recorded live at the end of their phenomenal tour of China. Tscho Theissing on violin, Arkady Shilkloper on horn, John Wolf Brennan on piano and Daniele Patumi on bass. The musicianship, drive and finess of these four virtuosos are breathtaking. Their music is compositionally challenging and loose in feeling, loaded with multilayered, complex textures, but possessing the "primitive" charm of folklore and "vulgar rhythms", unmistakably serious in its intentions but executed with an obvious tongue-in-cheek attitude. Weather Report for the 21st century. Total time: 61'01.